Bridgeman Images is delighted to announce their representation of The Art Institute of Chicago, one of the largest museums in the United States and one of the most visited in the world. Best known for its Impressionist, Post-Impressionist, and American paintings, The Art Institute of Chicago houses some of the most iconic paintings worldwide: Georges Seurat’s A Sunday on La Grande Jatte (1884), Grant Wood’s American Gothic (1930), Edward Hopper’s Nighthawks (1942). “Our mission is to make the best of the world’s art available for reproduction while giving back to our museums, artists and collections. We are excited to be partnering with the Art Institute of Chicago to enable the masterpieces in their collection to reach an even wider audience”, said Edward Whitley, President, North and South America at Bridgeman Images. 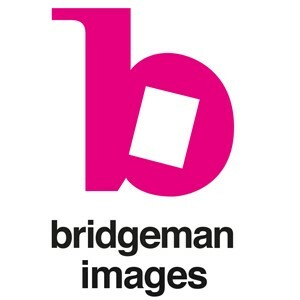 Nearly 1,000 images have been uploaded to the Bridgeman website with many more going online in the coming months. Picture researchers are encouraged to contact the Bridgeman team regarding research requests for content offline or for any copyright and licensing inquiries. Bridgeman Images now represents the collections of over 70 museums in North America and a further 2000 worldwide. From the Museum of Fine Arts, Boston to the Art Gallery of Ontario, Dallas Museum of Art, Philadelphia Museum of Art and The Smithsonian Institution in our nation’s capital, Bridgeman Images is the definitive resource for licensing art history’s finest masterpieces. The rights-managed specialists in reproducing and licensing art, photography and footage to creative professionals. Over the past 40 years they have built up a global client base through their offices in London, New York, Paris and Berlin, representing leading museums and artists for copyright. Bridgeman passes along 50% of the reproduction fee back to its museum, collection and artist partners. The Art Institute of Chicago, founded in 1879, is a world-renowned art museum housing one of the largest permanent collections in the United States. An encyclopedic museum, the Art Institute collects, preserves, and interprets works in every medium from all cultures and historical periods. With a collection of approximately 300,000 art works and artifacts, the museum has particularly strong holdings in Impressionist and Post-Impressionist painting, contemporary art, early 20th century European painting and sculpture, Japanese prints, and photography.